Some scenes of the movie Evita, starring Madonna and Antonio Banderas, were shot in this very same dance hall! While photography isn’t encouraged here, some of the friendly people we were seated with, urged us to click a couple of quick ones! The ‘quick’ without flash was my undoing. Another couple, mistaking us for Portenos, wondered why we weren’t dancing! We told them that we had no intentions of exhibiting our additional left feet. Great shot! Though, I am not the biggest fan of the “Unfocused” Photo Challenge, here you’ve displayed how a snapshot of something in motion works beautifully when unfocused! Well done!, Madhu! I was upset that I did not get a good picture. And I did not wish to disturb the dancers by clicking continuously. So delighted that you like it.I think it conveys the feel of the milonga quite well. I especially like the first one, it has the tango feeling, and I am sure it is better this way than it would have been crystal clear..
You really make me happy 🙂 Yes it does convey the feel of the place. Thanks again Bente! Doubly happy then 🙂 Thank you for the comment. Thank you AD 🙂 Good I didn’t delete them then! I really enjoyed these photos. Love it Madhu! I think BA is one of my favorite cities in the world. I just fell in love with the place. So beautiful and the food is out of this world! Great entry! Thanks Nicole! We loved BA too. Shall post nicer images sometime. I understand that Robert Duval, likes to frequent Buenos Aires to hit their dance floors. Thank you! The chemistry between them was really beautiful to watch. Very cool to be in the same dance hall that was in Evita! It sure was! I wish I could have gone earlier and photographed the building before the Millonga started. Not sure if i would have been allowed though. Never thought I would put these up on public view!! Glad you liked it 🙂 And glad I could convey, however badly, a bit of the atmosphere of the place. 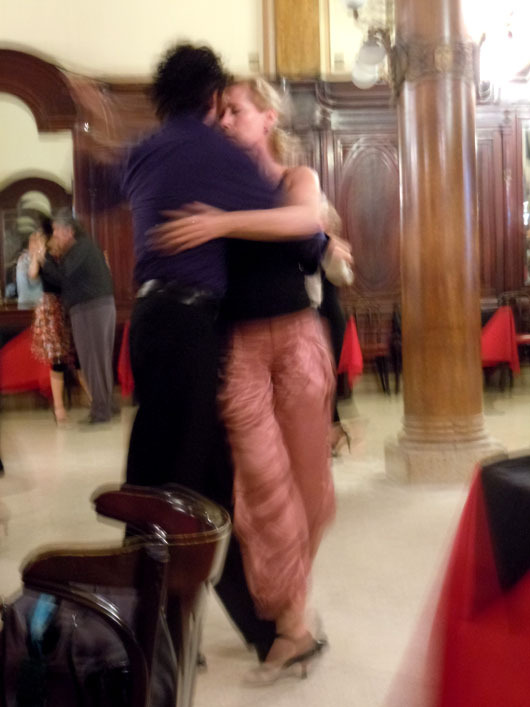 A traditional milonga is so much nicer than a glitzy dinner show put up for tourists. 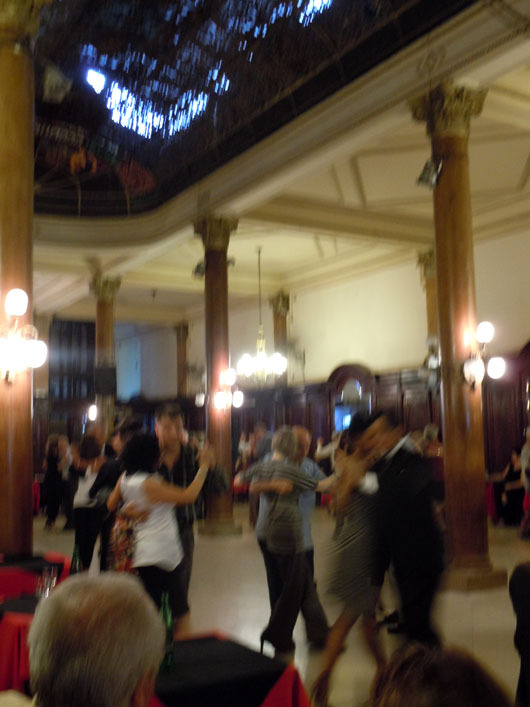 It was a wonderful peek into the real Tango culture of BsAs. A must do if there is one! Absolutely Mags! A less glitzy but authentic feel for the Tango culture of BsAs! Thank you for stopping by. Thank you Max! Mine too. I loved their expressions and the way they were oblivious to everything else! I almost, almost made it to Argentina! But thanks to an H1N1 outbreak we had some issues with our flight. Anyway, it’s on my long list of places to get to. The out of focus really works on these photos. Beautiful. Nice – you get the feel of the intimacy of the dance in the first one especially!